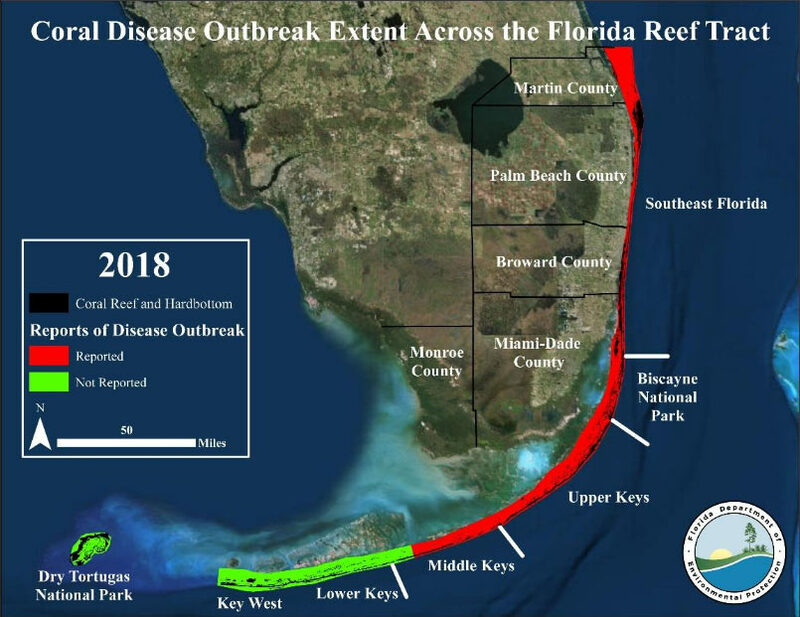 Figure 1: Map of the extent of the current coral disease outbreak on the Florida Reef Tract. As of February 2018, over half of the Florida Reef Tract has been affected from Martin County through the upper and middle Keys (approximately 195 linear miles of reef; Figure 1). 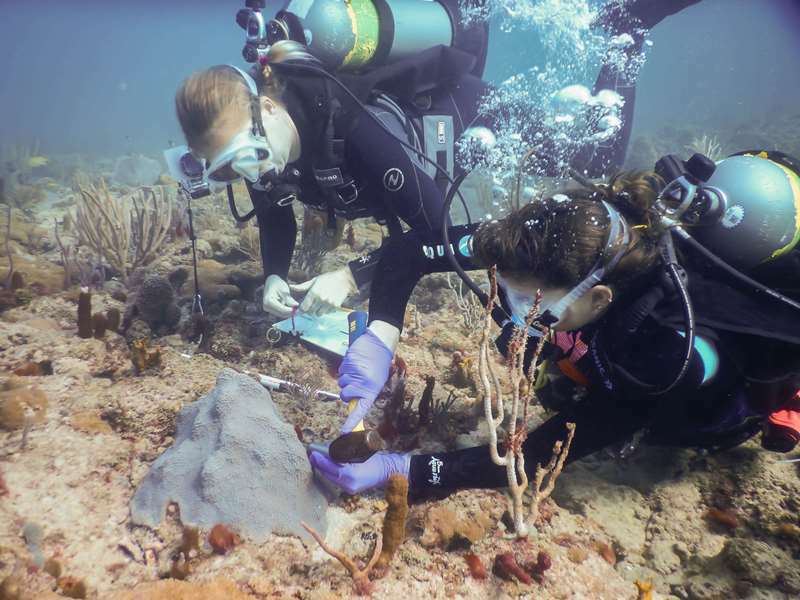 Nearly half of the stony corals species found on the Florida Reef Tract have been affected. Among the species affected are the primary reef-building corals that are critically important for providing high coral cover, creating habitat for many marine species, and protecting coastlines during storms. Number of coral species affected. High rates of infection and mortality. Previous disease outbreaks only affected one or two species of coral and caused partial tissue loss, which allowed for a portion of the coral to survive and recover. However, the current outbreak results in complete mortality and has caused dramatic declines in the populations of multiple coral species.